Minister of Justice, Legal and Parliamentary Affairs Ziyambi Ziyambi said that Gauntlett must apply for a work permit instead because he is from South Africa, which the minister deemed not to pass the test of reciprocity. The Constitutional Court will on Wednesday hear Chamisa’s petition in which he wants the results of the election to be overturned alleging that the Zimbabwe Electoral Commission (Zec) manipulated the results in order to guarantee a win for President Emmerson Mnangagwa. Gauntlett is considered one of South Africa’s top legal minds and practises from chambers in Cape Town‚ Johannesburg and Brick Court in London. The latter is the former chambers of Sir Sydney Kentridge QC KCMG (Knight Commander of the Order of St Michael and St George). At Brick Court‚ Gauntlett has practised as a barrister and has provided expert evidence on several occasions in relation to South African and Namibian commercial law‚ as well as the law of contract and tort and admiralty law. 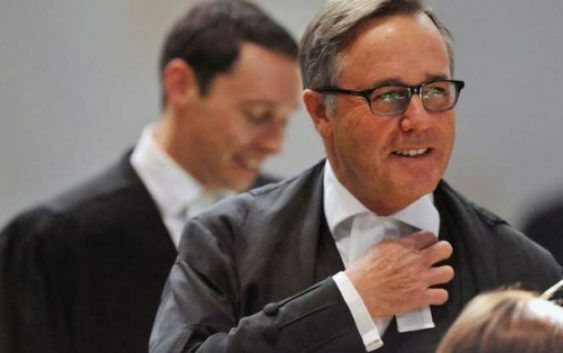 Gauntlett has been rejected five times by the South Africa Judicial Service Commission for the position of judge – twice for the Constitutional Court and three times for the High Court. He is a past chairman of the South African Bar‚ judge of appeal of Lesotho and Law Reform Commissioner. BREAKING NEWS: REGISTRAR OF THE CONSTITUTIONAL COURT DEALS A MAJOR SET BACK BLOW TO NELSON CHAMISA’S challenge of President Emmerson Mnangagwa’s 30 July 2018 presidential election victory in Zimbabwe. ONE OF MDC FOUNDERS Fidelis Mhashu (76) , a human rights defender, died last night Monday 20/8/18 at Parirenyatwa Hospital on Monday night.